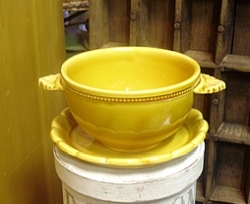 Shamrock Tableware, with its basket weave, is a timeless design first created in the 1880's. The simplicity of the pattern is based on the weave used in wickerwork baskets, once a common feature of both town and country. The design also cleverly uses the stems of the shamrocks to shape such features as the handles and details of the design. It remains an iconic collection, one symbolic of Belleek’s long craft tradition. 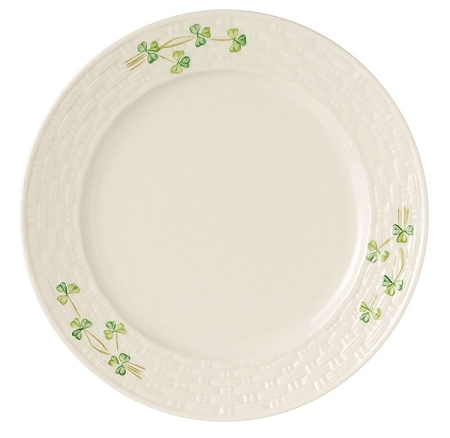 The Shamrock Dinner Plate will indefinitely get all the attention when set out on your dinner table.